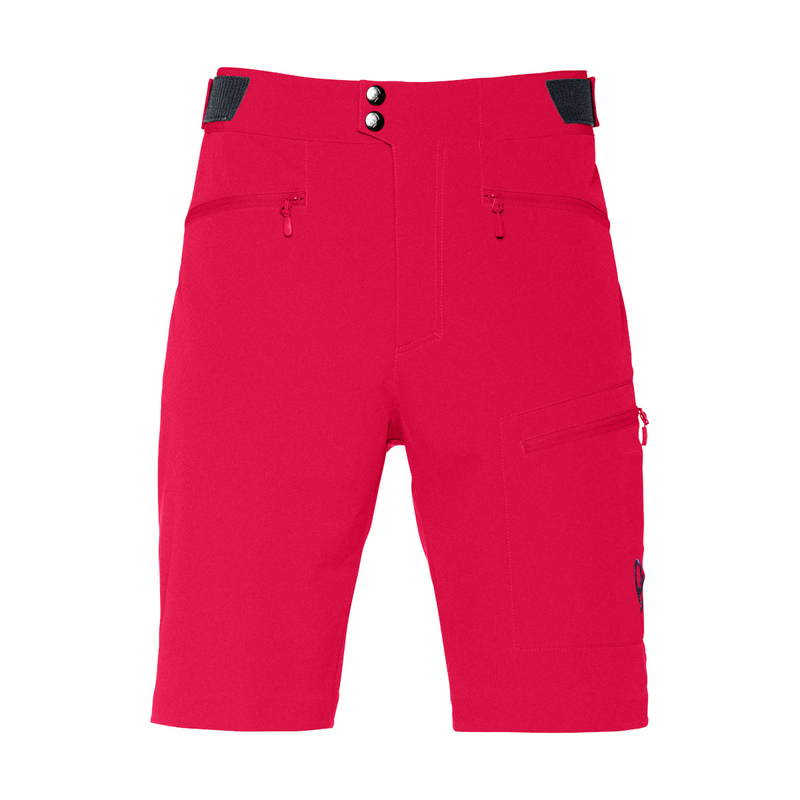 The Norrona Falketind flex1 Shorts Men are a pair of comfortable, quick-drying, weather-resistant softshell shorts designed for all warmer weather pursuits. Made from the flex™1 fabric, the Norrona Falketind flex1 Shorts Men have flexibility and breathability for comfort on technical manoeuvres and mid-summer days, with wind-resistance and a DWR finish for protection if the weather changes. A Custom-fit waist system™ eliminates the need for a belt decreasing bulk, and three zipped pockets secure valuables. Performance softshell pants for intensive sessions and changeable weather conditions. Perfect shorts for any kind of sport activity.